Anakin Skywalker was the focus of the three films; The Phantom Menace, Attack of the Clones and Revenge of the Sith. 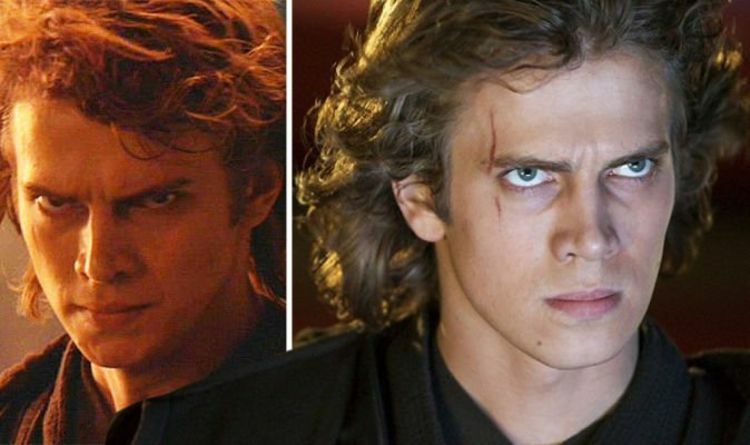 While Jake Lloyd played him as a kid in the first film, it was Hayden Christensen who took him into adulthood in the later two. At the time, there was much press speculation over who would land the gig, with multiple names being thrown around before Christensen was ultimately green-lit. But did you know that this particular actor allegedly got very close indeed? Colin Hanks, son of Hollywood royalty Tom Hanks and Samantha Lewes, was reportedly one of the earliest names to be linked to Star Wars’ older Anakin. And according to Looper, the reason behind his last-minute defeat was simply the fact that Christensen had superior on-screen chemistry with Natalie Portman. Portman, of course, was already part of the line-up; having played Padme in The Phantom Menace. Hanks’ near-miss casting has been the subject of discussion amongst Star Wars fans on Reddit, with user TurtleTucker pointing out how much he resembles a young Sebastian Shaw – who played older, unmasked Anakin in Return of the Jedi. It’s a sign of how much the fanbase’s opinions have changed over recent years that many rushed to Christensen’s defence – proclaiming him as the best man for the job in the end. “Christensen was saddled with some very rough dialogue, but I’m not convinced that another actor might not have been able to say it better,” said another.